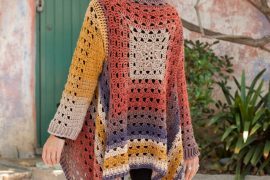 Over the past few weeks I’ve done a roundup of 100 unique crochet shawls, a post featuring the best patterns from ten great crochet shawl designers and a guide to crocheting shawls. It only seems right now to share ten of the most popular free crochet shawl patterns that you can access online. The Elise Shawl by Evan Plevinski is currently the most popular crochet shawl pattern offered free on Ravelry. It is one of only two crochet shawls that is in the top ten most popular free crochet patterns on the site (hats and blankets seem to be more popular!) Evan is a terrific male crochet designer who did a lovely job on this shawl. 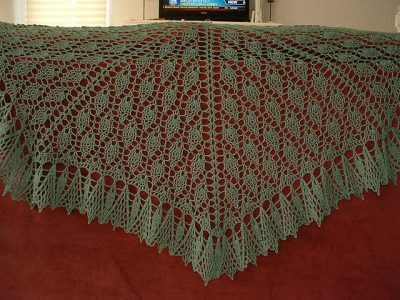 Lion Brand Yarn’s South Bay Shawlette was the other one of the two shawl patterns that made it into the 10 most popular free crochet patterns list I put together previously. It is designed to be worked with their Silk Mohair blend yarn, making it super soft. 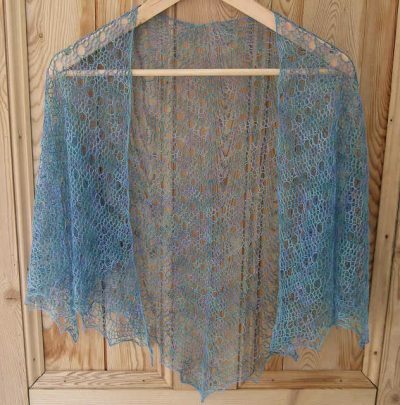 This free crochet shawl pattern, designed by Milobo, is a laceweight (lightweight) design that is worked top-down. 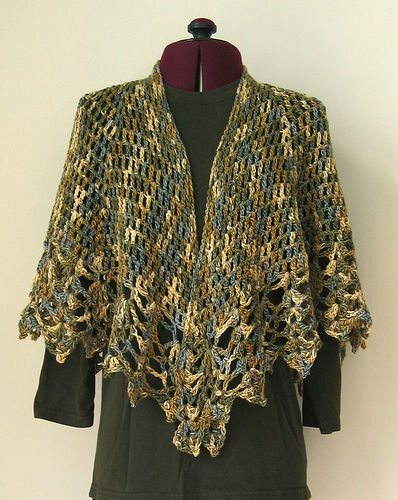 Doris Chan is one of the crochet designers I mentioned previously as being known for making terrific crochet shawl patterns. 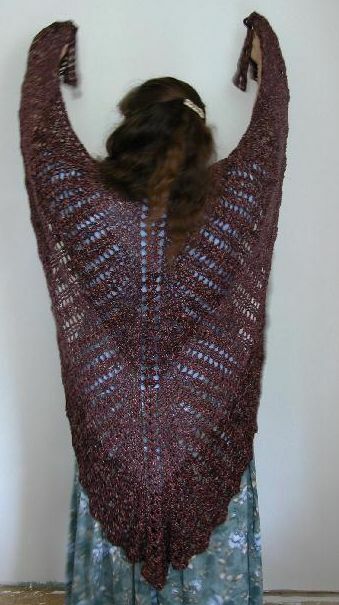 The All Shawl is one of her free crochet shawl patterns. 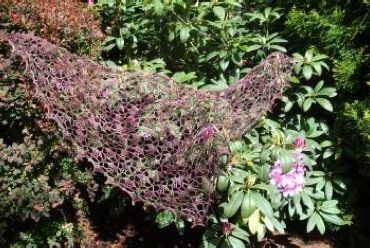 AnastaciaKnits is another designer that was in the top designers list and she also offers some of her crochet shawl patterns for free. This one, based on the granny square but worked as a triangle, is her most popular free crochet shawl pattern. This free crochet shawl pattern by Doni’s Stuff can be worked using the H hook that it calls for or upscaling to an N hook and heavier yarn for a quicker project. Are you looking for a popular free Tunisian crochet shawl pattern? Look no further than Pax by AoibheNi. It’s a thin, summery shawlette. 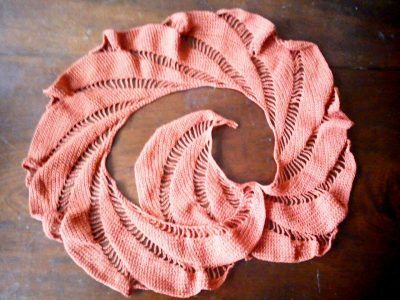 Yarn and Spices offers the free crochet pattern for this crochet shawl that has a pretty spiral-inspired design. 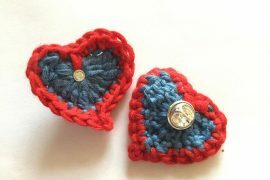 Note that this pattern is written using British crochet terms. 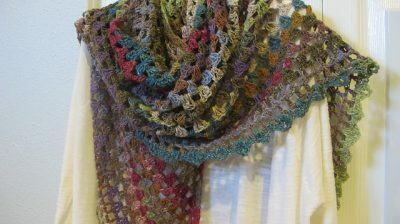 Stitch Nation offers a free crochet pattern for this large shawl made with their Bamboo Ewe yarn. 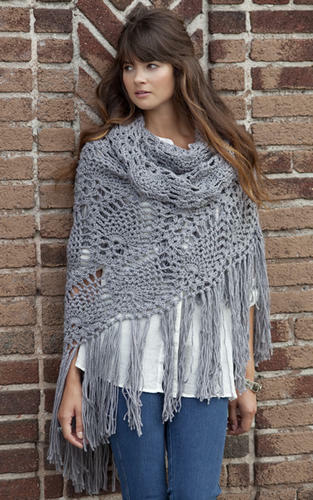 What’s your favorite free crochet shawl pattern? Link to it below to spread the love for those great designers that offer patterns for free! All of the patterns should be found by clicking on the links in the descriptions.